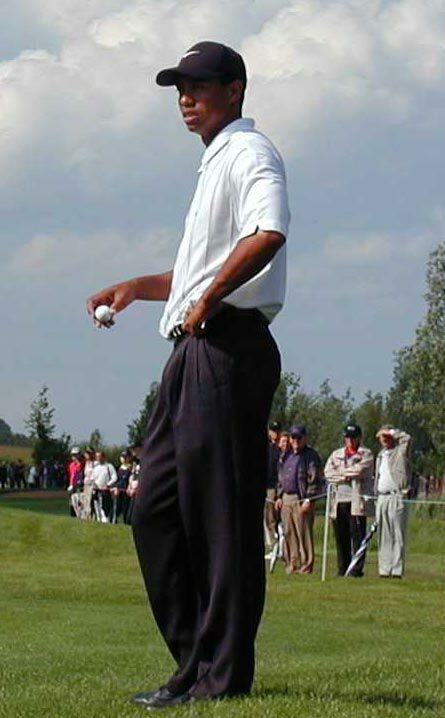 Mid-February, 2010, legendary golfer Tiger Woods stood behind a podium, in a small room full of close family and friends, and apologized for how his behavior (Tiger had been cheating on his wife with multiple women) had affected his wife, his family, his fans, and his work colleagues. Buddhism teaches that a craving for things outside ourselves causes an unhappy and pointless search for security. It teaches me to stop following every impulse and to learn restraint. I wrote this article because as I was browsing the web, another article somehow turned this quote into an angle to promote meditation. I doubt I would normally care about an article such as that; but for some reason, this time I did care. One reason might have been because of a past discussion on secularizing Buddhism. This article, in my opinion, clearly did that. It was as if the writer said “Hey look! Tiger mentioned Buddhism, I can write about meditation!” Essentially let’s not study the religious roots of that statement; instead, let’s make it a nice way to promote meditation which is now mainstream enough that it can be promoted without making people think of the Buddhist religion (philosophy). Secondly, by Tiger mentioning Buddhist principles, a golden opportunity to understand the meaning of what he said had presented itself to the world. I say “golden” because Buddhism is like a religion of cognitive psychology. Most ideals that are practiced are based on how one operates in their thinking and how those thoughts cause stress for the individual. The ideals in Buddhism also help one work on purifying and neutralizing those thoughts that cause stress a.k.a life drama. It’s a golden opportunity. So what does “craving” mean in Buddhism? Well craving, is the source of everyone’s suffering. We become attached to an idea, an object, a person, etc, so much so that it causes us to do and be dumb things. The nature of craving is taught in one of the most basic teachings in Buddhism called The Four Noble Truths, craving is the second truth. Now what is the noble truth of the origination of stress? The craving that makes for further becoming — accompanied by passion & delight, relishing now here & now there — i.e., craving for sensuality, craving for becoming, craving for non-becoming. Craving for sensuality, here, means the desire for sensual objects. Craving for becoming means the desire for the formation of states or realms of being that are not currently happening, while craving for non-becoming means the desire for the destruction or halting of any that are. So Tiger was craving sensuality and desire to such an extreme that it caused him suffering. And he’s not alone in his craving: people on Wall Street desire money, people around the world desire what others have or what they see on TV, kids almost desire everything if you don’t teach them restraint. These are all from the same well of suffering that Tiger got his suffering from. Learning to be with your craving is not so much about detaching from your suffering or craving as much as it’s allowing your suffering or craving to exist without it controlling you, which is what Tiger meant by this. It teaches me to stop following every impulse and to learn restraint. And this statement, I’ll deal with another time. In February ’09, the University of Montreal released the results of one of its two studies that studied the affects Zen meditation has on health. Apparently doing nothing is still doing something. The first study was created to see if trained meditators perceived pain differently than non-meditators. The authors of the paper, Joshua A. Grant and Pierre Rainville, studied 13 Zen meditators with at least 1,000 hours of meditation practice and 13 non-meditators. Participants were given a heat test via a computer-controlled heating plate that was pressed against the calves of subjects intermittently at varying temperatures. The results of the test showed that meditators have a lower pain sensitivity than non-meditators. For more info, check out the clip below. In the second study, done in February 2010 and also by Grant with direction from Rainville, 17 meditators and 18 non-meditators who had never practiced yoga, experienced chronic pain, neurological or psychological illness, were also tested via a computer-controlled heating plate that was pressed against their calves. These subjects were also given a MRI after. The MRI scans showed that central brain regions that regulate emotion and pain were significantly thicker in meditators compared to non-meditators. The study was published in the American Psychological Association journal, Emotion. The most usual and outstanding effect of inadequacy* is to limit the circle of one’s interests. These tend to be restricted to essentials because of the distress accompanying physical effort. The interests usually first affected are those that we call ordinarily unselfish interests. This term is not well applied because all interests are within the possible range of “self.” The inadequate person becomes egocentric. His conversation tends strongly to deal only with his own person and history. If he reads a book it is only a possible bearing on his own immediate needs that will be noticed. Any topic mentioned by another is turned immediately into a reference to himself. If he makes gifts we notice that their value is carefully estimated for maximum effect with minimum outlay. The return gift is the real aim of the action. He learns to count the cost of every service to others, and to consider its effect. He wishes to be loved for himself alone. By this he means that he hopes for devoted service from others, service which will not depend on any return from him. The egocentric person may indulge in teasing and hurting those close to him. His gratification lies in the reassurance that their devotion will survive the test. He may be given to extreme self-depreciation and the appearance of modesty. But an examination of his modesty and his low self-estimate betrays that it is expressed under circumstances calculated to stir others to polite disagreement. He elicits compliments by his humble statements. He develops that form of functional deafness that makes it necessary always to repeat a compliment paid him. By this means he hears it twice instead of once. *Inadequacy in this context is a failure of the emotional system to force someone to overcome a “difficulty or resolve a conflict” that is usually a major choice. This indecision may extend to trivial and minor choices. I always saw the book The 7 Habits of Highly Effective People on other people’s bookshelves. I never once thought to borrow the book or even read it, but then I had a friend who was getting rid of his books and there it was. Holding belief in the last bit was how I escaped this burden that was placed upon me that by somehow doing what I think is best for me, somehow hurts somebody. Technically I may hurt people with my actions but not ALL THE TIME, as those who loved me the most seem to say when I acted on what I felt I needed to do. So as I grew older in order to minimize the possibility I could hurt somebody with my actions, I started to think of situations in terms of, “How can I win in this situation and how can you win?” Again, you may not always be able to create win/win situations but that doesn’t mean you shouldn’t try to. Better to hope for the best than settle for what could be the worst. So what is the basis of Win/Win? Win/Win is a frame of mind and heart that constantly seeks mutual benefit in all human interactions. Win/Win means agreements or solutions are mutually beneficial and satisfying. With a Win/Win solution, all parties feel good about the decision and feel committed to the action plan. Win/Win sees life as a cooperative, not competitive arena. Sounds great, although slightly utopian, doesn’t it? So how can you start applying win/win to your life? Well let’s say the situation is based on a conflict. We can first recognize that this person you are in conflict with is a person. Not an obstacle to be bullied or “won over” to your viewpoint. And being a person, they are in the same position as you — they want something and some thing (you) are standing in their way of getting that thing. So address their interests if you can, if you don’t know what their interests are, figure it out! And then address it when you are speaking with them. The skill of finding out someone’s interest is an important skill to have for any situation, with any relationship you have. For example: If in a spat with a loved one, what they really may be upset about is not you going out with a friend but that you in doing so you haven’t made your plan in a way that respects the needs of them, maybe you didn’t give them a reasonable notice that you were changing plans on them. And because your loved one is supposedly “special” to you (which is their interest — to know they are special to you) when actions don’t flow in a way that reaffirms their interest of knowing (and feeling) they are special to you, they become upset [See Understand Your Anger]. So to make this a Win/Win situation, you would have to perform an action that validates their interest of knowing they are special to you but also allows you to make plans as you wanted to do in the first place. That is the essence of Win/Win, understanding your needs/interests and other people’s needs/interests and doing your best to meet your’s and their’s. In “The Power of Human Relationships” [link], I highlighted how our relationships with others can influence us. This excerpt from Yongey Mingyur Rinpoche’s book, The Joy of Living, sent to me via a newsletter I’m subscribed to, reminds me to remind you that the relationship we have with ourself is just as important as the relationships we have with others. …some people can’t stand feeling or cold. They say that they’ll die if they have to go outside in hot weather. Even a few drops of sweat can make them feel extremely uncomfortable. In winter, they can’t bear even a few flakes of snow on their heads. But if a doctor they trust tells them that spending ten minutes of every day in a sauna will improve their physical condition, they’ll often follow the advice, seeking out and even paying for an experience they previously couldn’t stand. They’ll sit in the sauna thinking, How nice, I’m sweating! This is really good! They do this because they’ve allowed themselves to shift their mental perception about being hot and sweaty. Heat and sweat are just phenomena to which they’ve assigned different meanings. And if the doctor further tells them that a cold shower after the sauna will improve their circulation they learn to accept the cold, and even come to consider if refreshing. Psychologists often refer to this sort of transformation as “cognition restructuring.” Through applying intention as well as attention to an experience, a person is able to shift the meaning of an experience from a painful or intolerable context to one that is tolerable or pleasant. Over time, cognitive restructuring establishes new neuronal pathways in the brain, particularly the limbic region, where most sensations of pain and pleasure are recognized and processed (Bold added by another). If our perceptions really are mental constructs conditioned by past experiences and present expectations, then what we focus on and how we focus become important factors in determining our experience. And the more deeply we believe something is true, the more likely it will become true in terms of our experience. So if we believe we’re weak, stupid, or incompetent, then no matter what our real qualities are, and no matter how differently our friends and associates see us, we’ll experience ourselves as weak, stupid, or incompetent. What happens when you begin to recognize your experiences as your own projections? What happens when you begin to lose your fear of the people around you and conditions you used to dread? Well, from one point of view-nothing. From another point of view-everything.